If you’re looking for ways to arrest or cure your baldness, you may have thought of a hair loss doctor. 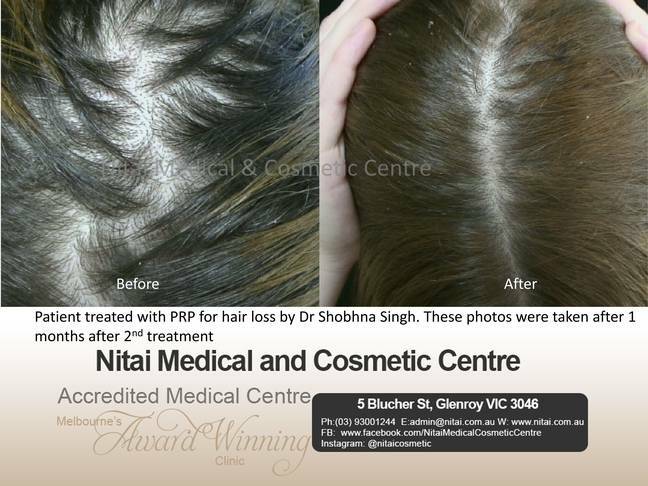 It’s true that hair loss can result from medical causes which a doctor can treat. But often it’s due to genetic, hormonal or lifestyle factors. If you’re seriously worried about your thinning hair, it’s a good idea to see a cosmetic doctor experienced in treating hair loss. 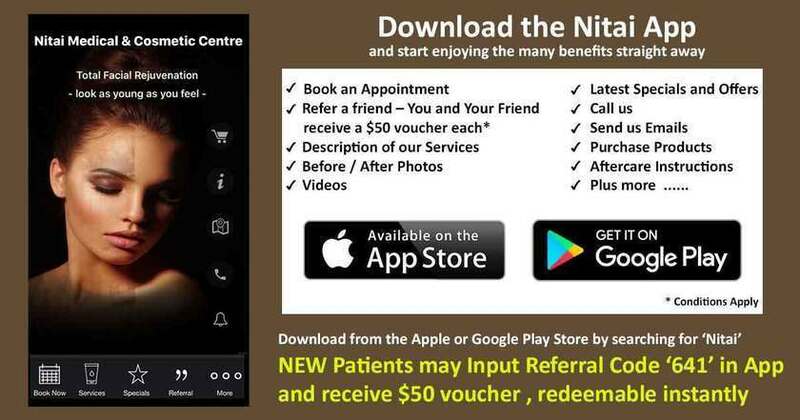 At Nitai , our doctor will run blood tests. Low iron levels can cause hair loss and this is something easily treated with supplements. Likewise, low oestrogen can result in thinning of the hair. Should you exhibit any of the following symptoms, you should contact a hair loss doctor immediately. Your hair loss comes on suddenly. You also have a scalp problem such as scaling, swelling, tenderness, a rash or severe itchiness. You also have a high fever. In most cases one option is hair transplants which is very expensive. One new and promising treatment involves the use of platelet rich plasma therapy (PRP). 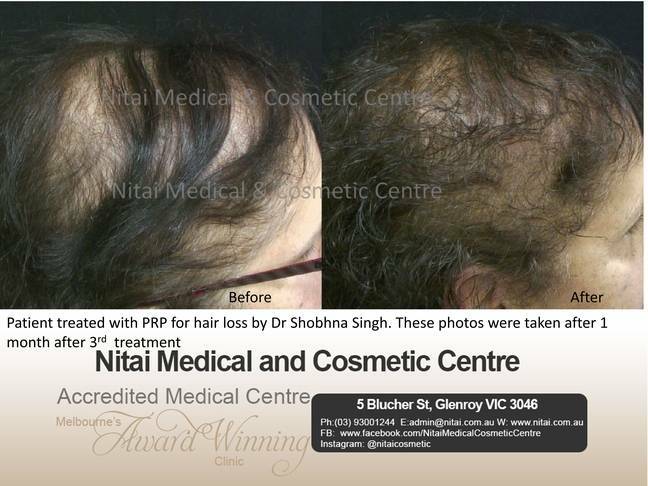 This is a minimally invasive procedure that we carry out at the Nitai Medical & Cosmetic Centre here in Melbourne. After determining that you’re a suitable candidate for PRP, one of our qualified staff will draw a small amount of your blood. Then this blood will be processed to remove the plasma. This plasma will be injected into your scalp where it works to stimulate hair follicle growth. If you’re interested in this treatment, here are a few things to remember. Firstly, it is effective for both men and women. However it only works on existing follicles. If you’ve lost a lot of hair, it’s probably not for you. Secondly, if you suffer from certain medical conditions including diabetes, heart conditions, liver disease, or shingles, you should avoid PRP. Please consult with your hair loss doctor if you have any doubts. 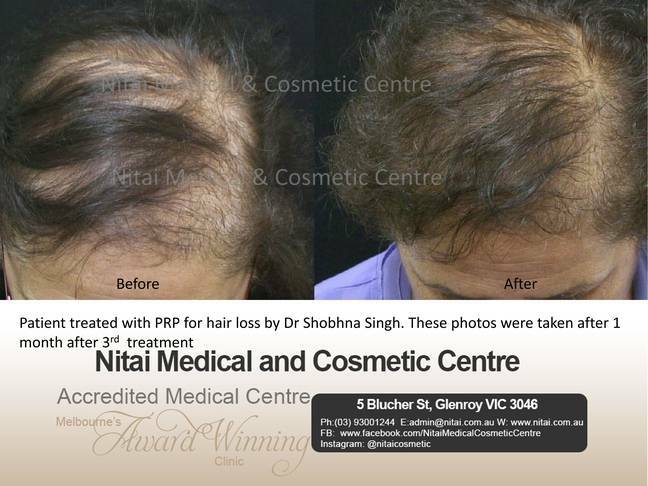 The following video shows a patient undergoing Platelet Rich Plasma treatment for hairloss. The patient is prepared for treatment by applying an anesthetic Gel to the scalp , in areas to be treated. To ensure the treatment is painless, the patient will then wait for an an hour allowing the anesthetic gel to numb the treatment area. In the meantime, sufficient blood is extracted from the patient’s arm. Using a centrifugal process, the platelets are separated from the blood. The platelets are then injected into the scalp as shown in the video below. Dr Shobhna Singh is treating a patient here, injecting the patient’s own platelets into the scalp. 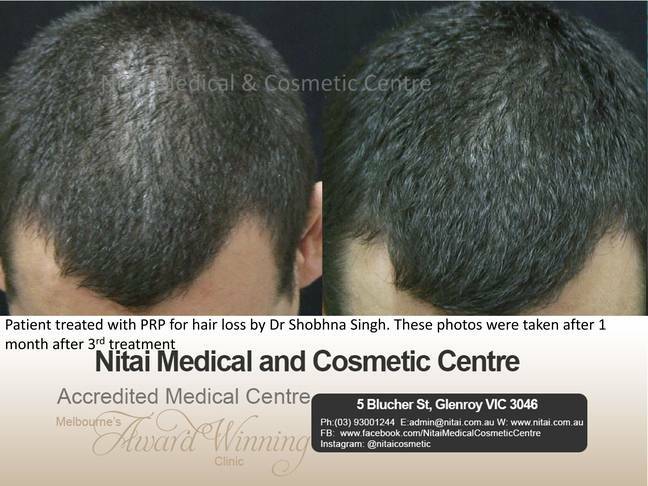 The following patient was treated by Dr Shobhna Singh for hairloss using Platelet Rich Plasma treatment. A series of 3 treatments were performed, each three weeks apart. 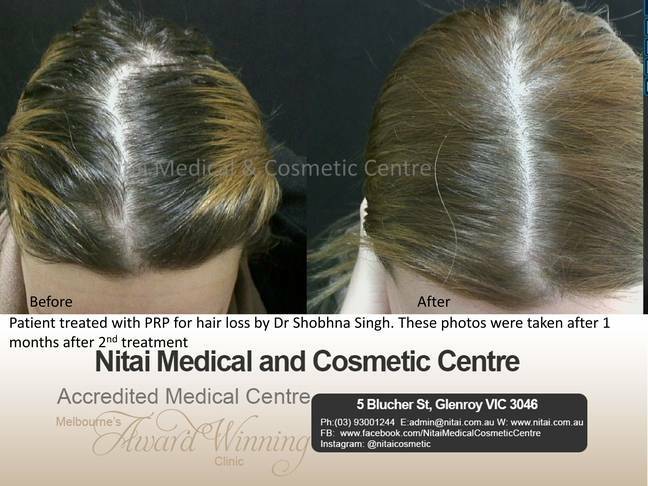 The following patient in her 30’s was treated by Dr Shobhna Singh for hairloss using Platelet Rich Plasma treatment. A series of 2 treatments were performed, each three weeks apart. The following male patient in his 30’s was concerned about his premature hairloss / thinning hair. 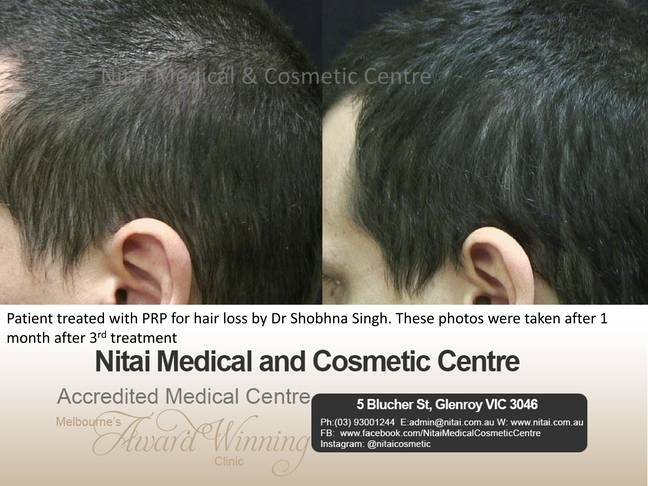 He was treated by Dr Shobhna Singh using Platelet Rich Plasma treatment. A series of 3 treatments were performed, each three weeks apart.